Located next to the slopes of Telluride Mountain, Etta Place Too offers 2bedroom, 3 bedroom and 3 bedroom lofted condominiums. 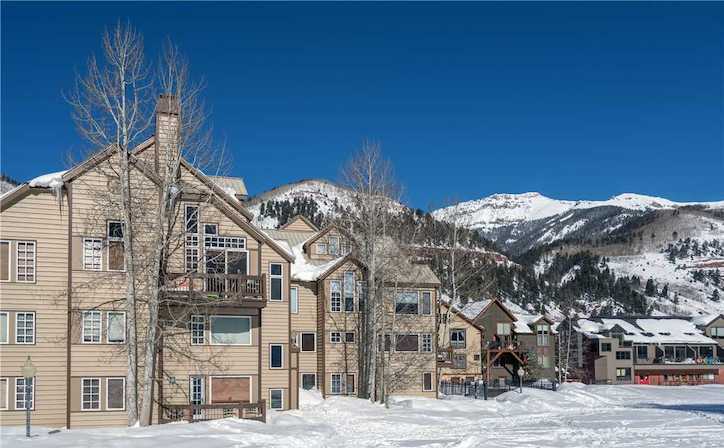 Most of these units feature a fully equipped kitchen, fireplace, TV with VCR and/or DVD player, and theconvenience of being within walking distance to many of the shopping, dining,and entertainment options available in Telluride. Guests will also enjoyaccess to the common area pool and hot tub.